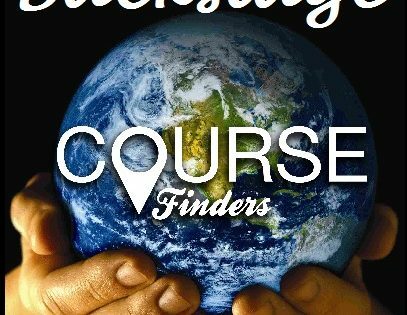 If you sometimes wondered who is behind the articles published each week on CourseFinders, now is the time to find out. 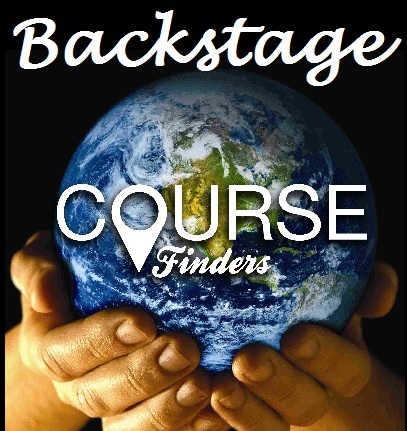 I had the pleasure to interview our collaborator for CourseFinders Germany: Christine Konstantinidis. In addition to being an extraordinary blogger she is also the author of a book dedicated to language learning … If you are curious to know more just keep reading! Tell us a little bit about yourself and your background. Where do you live? What is your job? My name is Christine Konstantinidis, I live in Germany and I’m a language teacher. I also run my personal blog “Erfolgreiches Sprachenlernen”, because languages are my passion (and talking about them, too!). Last year I wrote a book in German – it’s called “Sprachen lernen – Tolle Tipps und Tricks” and it is about language learning. I find your blog really interesting and helpful for language learners. How did you get the idea? What it is about? During my language courses my participants have always asked the same questions: How can you motivate yourself? How can you find the time for studying? How can you integrate a language into your daily life? As I had to answer the same questions again and again, I thought it would be a good idea to write a blog about the same topic. Besides, I love writing. When did you realize that languages were your passion? Unfortunately, at school I didn’t like languages. I discovered my passion for languages after finishing school – when I could decide how to learn, what to learn and when to learn. What languages do you speak and how have you learned them? I speak German (which is my mother tongue), English, French, Italian and Spanish. I can also translate Latin texts. I started learning English, French and Latin at school, my Italian studies began at the age of 26. I have been studying Spanish for one year now (in a serious way). What do you think about the educational system (from the point of view of languages) in your country? I think that in comparison to former generations the educational system from the point of languages has changed considerably. Nowadays students are supposed to speak more during the lessons, they have to prepare presentations and projects – in the past the lessons were only in classical “the-teacher-is-speaking-the-students-are-listening” scenarios. Furthermore, there is a wide choice of languages, you can learn not only English, French or Latin, but also Italian, Spanish or even Russian at schools here in Germany! That’s a great achievement. What strategies do you use to learn a new language? I’m not the learner who needs a course book and a grammar book. I like using computer tools and smartphone apps – and I try to integrate the languages as much as possible into my daily life. This means that I listen to podcasts, I read books and magazines, I have friends abroad, I write mails and letters, I speak to people via Skype. I don’t make a difference between time for learning and time for living. For me it’s the same. Which resources would you recommend to those who want to study a language? I like the following blogs: https://www.iwillteachyoualanguage.com/ by Olly Richards – he talks about how to learn a language. As the blog is in English (there is also a related podcast) I can listen and read at the same time if I like. I also read https://www.mondelangues.fr/ by Pierre Blanchon. The blog is in French and gives you information about how to learn a language. For Italian I like the Intercultura-Blog https://aulalingue.scuola.zanichelli.it/benvenuti/ You get information about Italy, Italian vocabulary and grammar and much more. For Spanish I recommend https://www.spanishpodcast.org/blog.html It’s a blog in Spanish – and a podcast, as the name says, is also available. You can always get the transcript with the podcast. I listen to podcasts quite regularly, for example those mentioned above. There are also 6-minute-English, RealFastSpanish, Grammar Girl, FHE Radio Colonia and English with Kirsty. I highly recommend EngVid as a YouTube-Channel – it’s a great resource for anyone who wants to learn English. For revising my vocabulary I use Babbel and Memrise. I can highly recommend Italki – you can take paid lessons there or you can find language partners all over the world. What advice would you give to those who want to learn your language? How should they start? a) Start now. Don’t plan too much. b) Use the language immediately. c) Integrate your language learning into your daily life. d) Learn regularly, ideally every day. e) Don’t panic and don’t be afraid of mistakes. What are, in your opinion, the most common difficulties students have when they start learning a new language? How can they overcome them? The most common difficulties are probably the doubts. People often think they don’t have the time for learning, they don’t have any talent, they are too old. I always tell them that talent is not essential – everybody can learn a language if he or she wants to do that. It’s more important to be motivated and to introduce a learning routine. Introducing a learning routine and deciding on priorities also solves the time problem. Age should never be a problem – the older a person gets, the more life experience he or she has and that’s good for language learning. People should believe in themselves and take responsibility for their learning. Do you have a secret dream about your future? I would like to travel a lot – I have never been to a Spanish-speaking country, for example. I would also like to learn more language and to have more time for using all of them! As I loved writing my book last year, I would love to write one more – there are so many ideas and projects! Thank you Christine! Until next time! To learn more about Christine check out her blog: erfolgreichessprachenlernen.com or follow her articles in German on CourseFinders Germany.